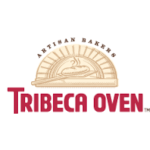 Tribeca Oven | Favorite Foods, Inc.
For more than 30 years, we at Tribeca Oven have pursed our vision of quality and a passion for excellence. Since starting our first bakery in New York City, and then relocating across the river in northern New Jersey, we continue to follow the wholesome, all-natural bread recipes that we’ve perfected over the years. Today, the dedicated bakers of Tribeca Oven combine fresh-baked quality with par-baked convenience – using modern methods to capture the traditional taste and texture of authentic, rustic, artisan breads. Thank you for allowing us to serve you. We send you are best… loaf of bread.